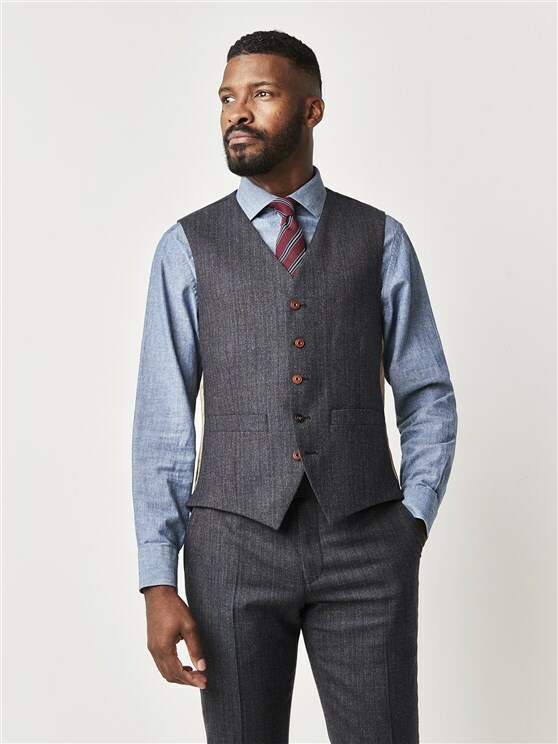 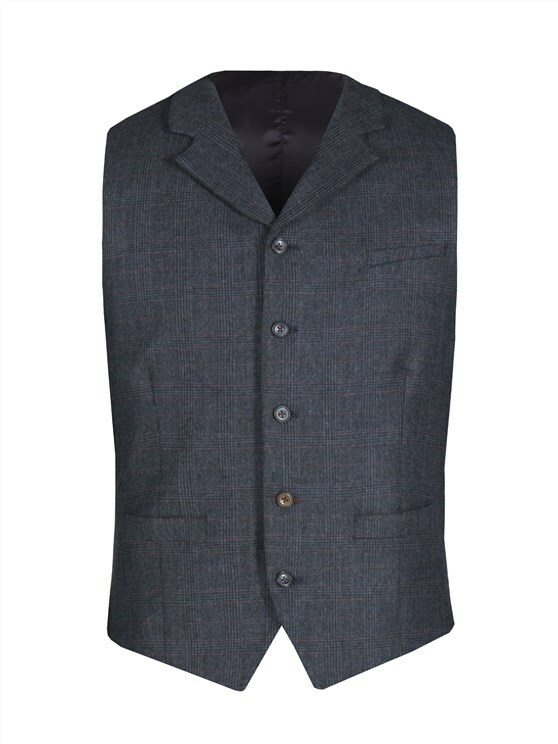 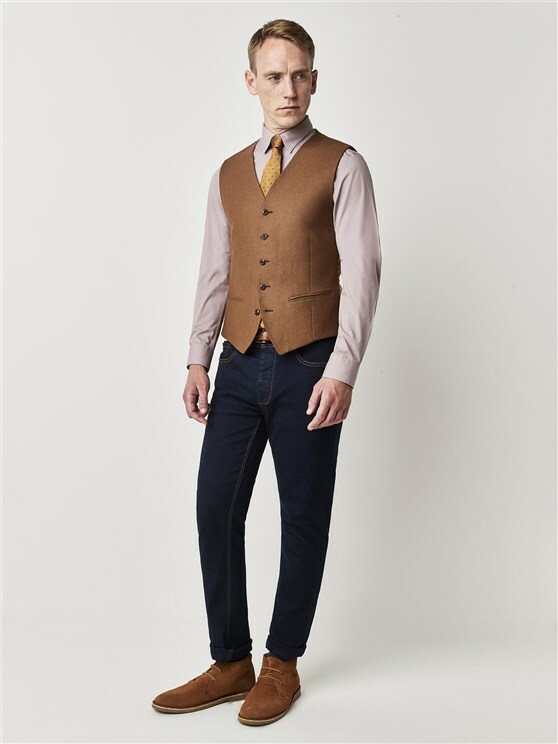 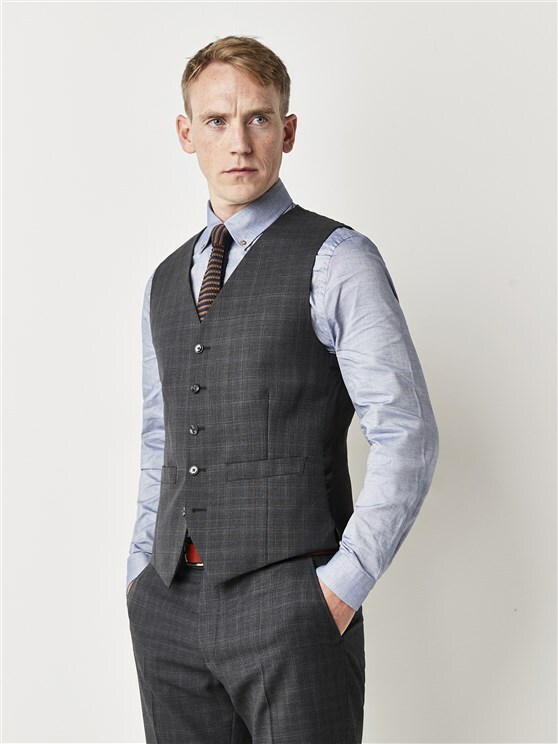 This two tone herringbone Falcon style waistcoat is a true signature style slim fit waistcoat for men. 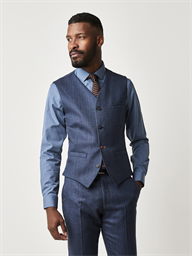 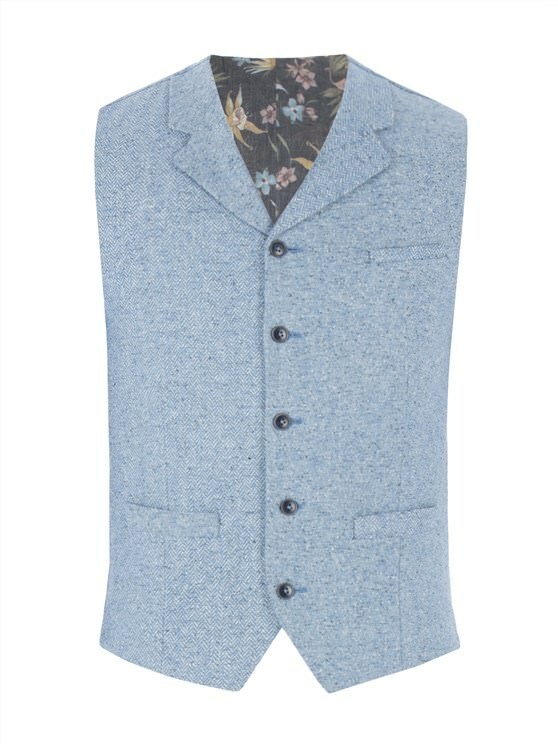 Featuring bold statement lining, and an adjustable back strap, this slim fit two tone blue herringbone waistcoat is a perfect standalone piece for casual attire, or perfect to pair with a matching jacket to create a signature Gibson London look. 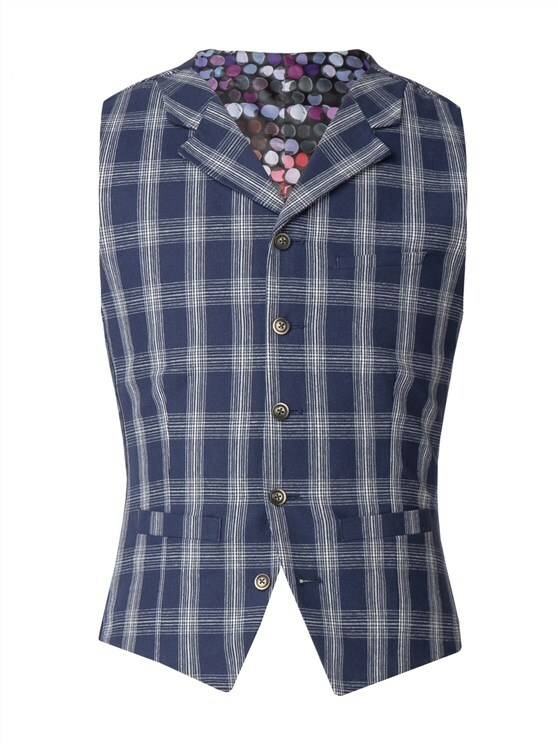 For a free feel fit, we recommend sizing up. 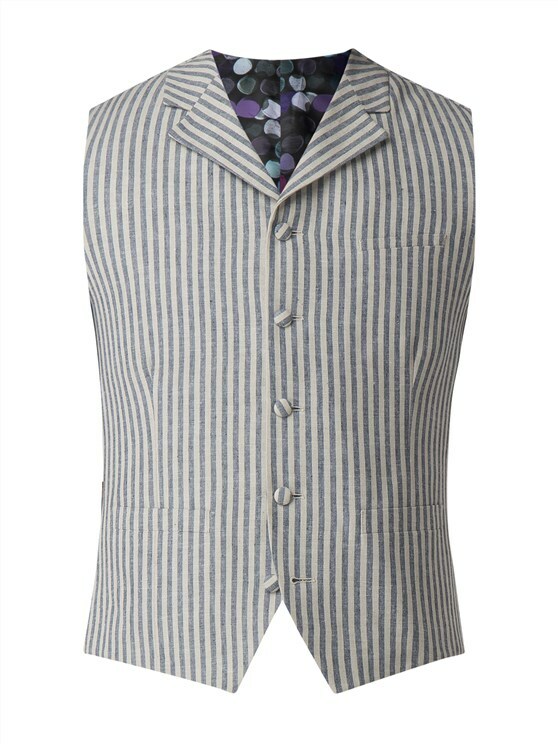 "I am very pleased with my waistcoat. 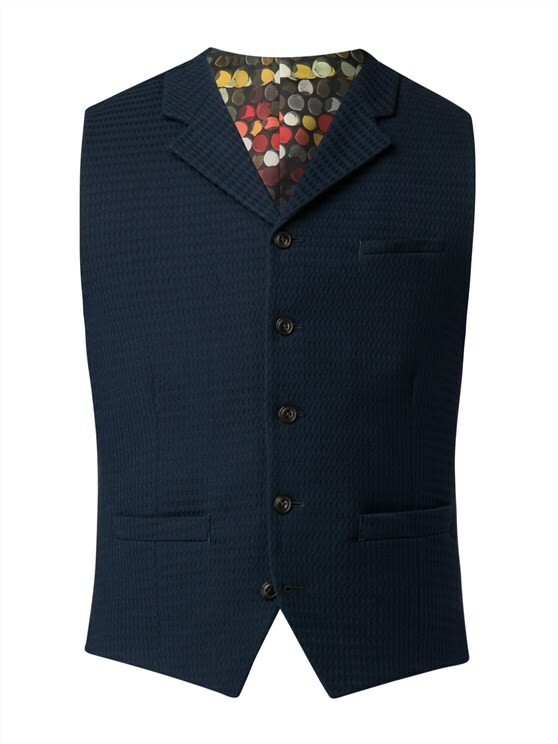 Should keep me warm in my suit." "As usual, speedy delivery and great service."